I think a lot about single moms and dads. I’m one of those people who wants to do it all…raise a family, keep a house, contribute to the family income, and make a difference in my community when possible. But one of the reasons I can do so many of these things is because I have support from my spouse. Single parents are in a whole other boat. While some have the generous support of family and friends, others feel like they are floating alone in the middle of the open sea. And then, what if these parents also feel the need to homeschool a child? What help is there for single parents who want to educate their child from home? There are many creative ways that single parents can make homeschooling feasible. One way is to find another homeschooling family who also has unique needs, and switch-off homeschool instruction with them. Or you might be able to find a family member or friend who would be willing to oversee some or all of your child's homeschool work. But if none of these options work for you, there are still options. Thanks to today's technologies, there is now the option for "online homeschooling", and it is gaining popularity daily among homeschooling families with unique situations. 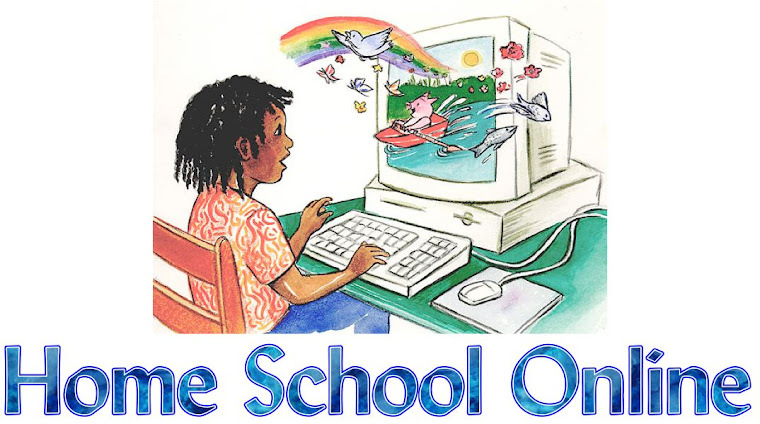 Online homeschool, by definition, is any self-paced education that is accessed on the internet. This can include the state-supported virtual schools, distance education programs, online homeschool curriculum programs, or even parent-designed lesson plans utilizing the internet. By using an online program, homeschoolers have access to pre-designed lesson plans, self-directed learning, online tests, and automatic grading. For single parents who want to be able to educate their children at home, but don't have the time or ability to devote to lesson planning and teaching, this can be a viable option. Computer-based homeschool curricula provide a lot of options for single parents. With a flexible enough environment, they can bring a child to work with them, and allow them to do their schoolwork on a separate computer. If they work from home, children can work somewhat independently on their studies. Or if they spend part time with a caregiver while their parent is at work, children can still access their school work from any computer. If you are a single parent who has been wondering if homeschooling is possible, it might be time to investigate it further. With some sacrifices, compromises, and adjustments, single parents CAN homeschool their children. To find out how other moms and dads are managing homeschooling as a single parent, drop by our Parents Forum and read some of the threads where single parents have shared their stories. You are so right. I never thought I would be able to homeschool until we learned about Turning Point Learning Center's Virtual School in my home state of Kansas. They have two different curriculums, one (k12) allows me to be in control of every part of the subjects. The other (OdysseyWare) I have teachers I can rely on to help grade work. The tutoring has some times come in handy when I couldn't figure out a way to teach a concept my child wasn't getting. Thanks for letting other parents know they can do it at home too, even if they are single and/or working. Kudos, Valerie!! That is awesome to hear. The other great thing is that there are so many support systems online for single parent homeschoolers now too!! I agree!!! It is not that easy at some points, but it is doable. I am one of those divorced, working, home-schooling moms who tries it all. Add the fact that I try to do this in a country where homeschool is not understood yet. Virtual Learning or computer-based homeschooling has been the best option for us.